Dubai had opened its door to Bowling enthusiasts a long time ago with the best Bowling alleys that are worth a try. Dubai has played host to a wider crowd of players that come across different nationalities and bowling skills, from individuals to corporate. Bowling in Dubai has always been a perfect activity whatever the weather is, plus it is a great way of getting the whole family involved. Bowling is a perfect entertainment for the whole family or a group of friends. It can also be a used as a team building activities in Dubai for companies. If you are looking to go bowling in Dubai and want to unleash your competitive streak, then head down to the five best bowling centres in Dubai. This bowling alley is not about a serious night at the lanes, but it is more about fun and family time. It offers the availability of 8 lanes for hire until 11:30pm every night. It is open till late, is small and is licensed so you can have a beer with your bowling. It can be a great experience for groups or for work nights out or a date. The beautiful and clean environment of Al-Nasr Leisure land makes it very attractive. If you want to enjoy bowling in DUbai, Al-Nasr Leisure is the place to go. It costs Dhs.15 per game for a non-member or Dhs.100 per lane for an hour. This bowling Centre in Dubai is located in Al-Mamzar, opposite to Century Mall, just off Al-Ittihad Road. It is a giant bowling Centre, which is affordable. It’s open till 1am and you can get 36 lanes with a very cheap price, thus a game is pretty much guaranteed. This bowling alley hosts regional as well as international tournaments, also hosts children’s parties and offers summer camp. 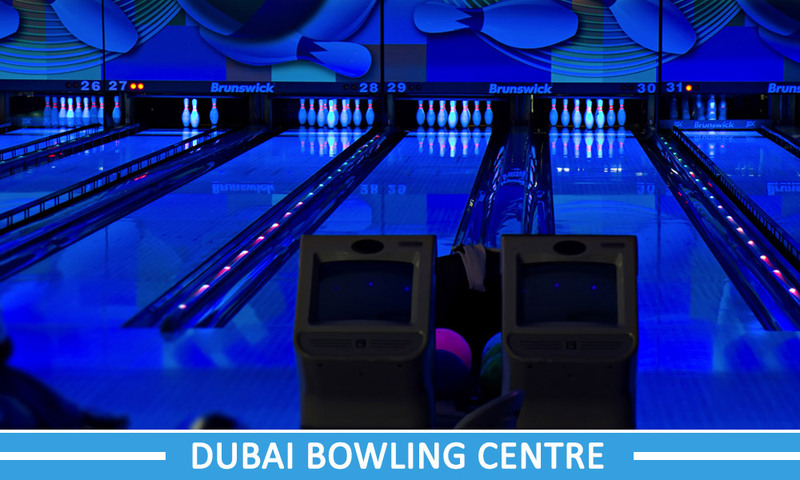 The Dubai International Bowling Centre is a place where every minute spent is worth it. For all the enthusiastic of bowling in dubai, the rates vary from Dhs.12 per person and per game on week days to Dhs.17 on weekends. Lane hire costs from Dhs.80 to Dhs.120 per hour. This blowing alley in Dubai is located at Mirdif City Centre. Among the rides, games and attractions at Play nation in Mirdif City Centre, you’ll also find a 12-lane bowling alley. Unlike other bowling alleys, which are not children-friendly, this Bowling center in Dubai is especially designed for children with all the whistles and bells that come with kids-friendly bowling including video simulations and cosmic themes. It is very convenient for the parents to leave their children in this bowling alley while they can shop. It is also suitable for children aged 5 years and upwards. It also has the facility of the bumper, so that the little ones can also play. It costs Dhs.20 per person per game on weekdays and Dhs.25 on weekends and public holidays for bowling in Dubai at Yalla bowling. Socks are an extra Dhs.5. This place can be recognized by its giant blue orbs just by the edge of Al-Quoz. This is the only way it can be described. It is one of the biggest bowling centre in Dubai you will find in the land with 16 lanes here. You will also find plenty of serious strikes-seekers with leagues, tournaments and regularly running competitions. If you want to take your game to the highest level, this place is for you. They also have themed competitions, so your dream of bowling as a cowboy, can be fulfilled here. This is a place worth a try to enjoy bowling Dubai. It rates vary from Dhs.17 per game per person on weekdays to Dhs.30 on the evenings of Weekends. Lane hires costs between Dhs.90 to Dhs.135 per hour. The Zayed Sports City is located in Abu Dhabi at the center of the Abu Dhabi action. The Zayed Sports City does not only have a bowling alley, but is home to every sport from netball to combat sports. Any sports you are searching for, is available at Zayed Sports City but it is best known for its bowling alley which is neat, clean, beautiful and giant. It also plays host to some of UAE’s biggest bowling events including the world bowling championship of 2014 and world bowling championship of 2015. It is used casually as well as for tournaments, leagues and also a pro shop. This place has also been a very well-known for its Chinese restaurant which is in the form of a noodle bowl. It costs from Dhs.11 per game per person to Dhs.13 per game. Lane hire costs between Dhs.80 per lane to Dhs. 100 per lane. The bowling in Dubai is certainly one of the best things to do in Dubai. If you want to enjoy bowling in Dubai, the above mentioned are the best bowling centers in Dubai. If you have experienced bowling in any of the above mentioned places and would like to share your experience, please do so by adding comments below. If you want to recommend a bowling centre in Dubai, please comment below as well.